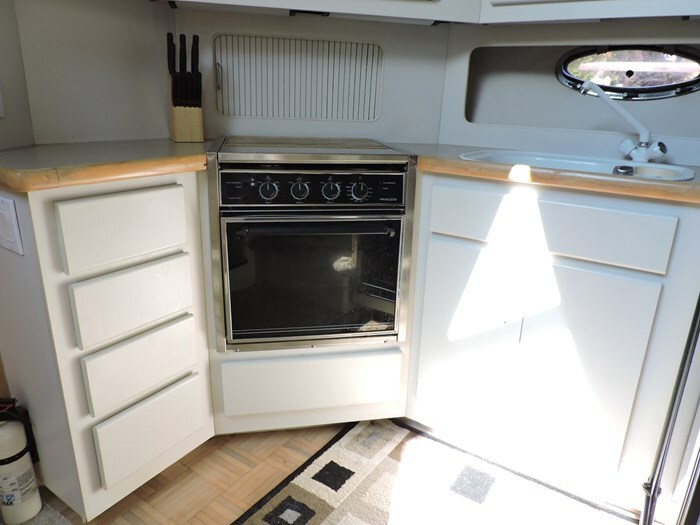 Very clean Carver that will make a perfect floating cottage. 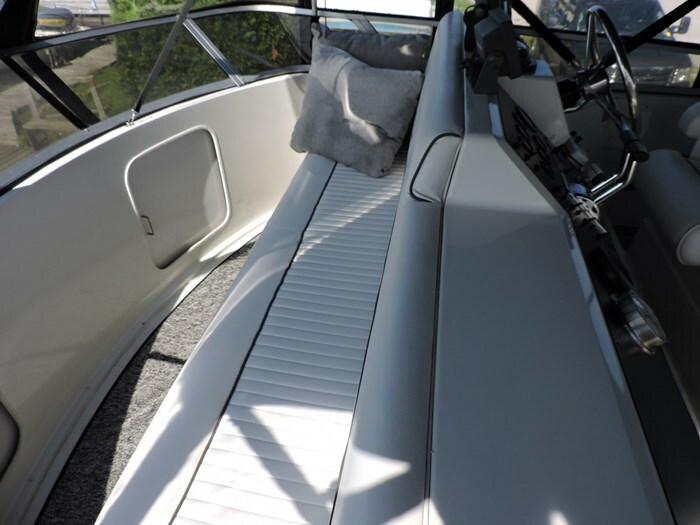 The perfect layout for extended time aboard. 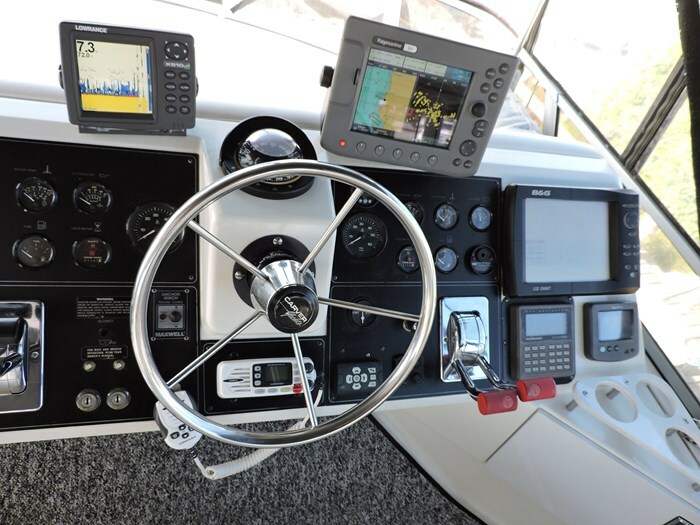 Navigation-Raymarine C80 GPS Chartplotter with Raydome Radar, Lawrance X510C, Compass, Depth Sounder, Engine Sync Gauge, Full Engine Instrumentation, Horn, Navigation Lights, Remote Spot Light, VHF Radio. 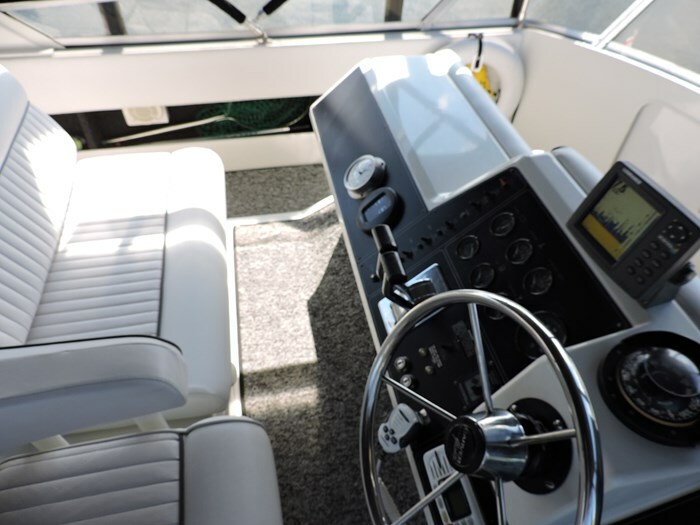 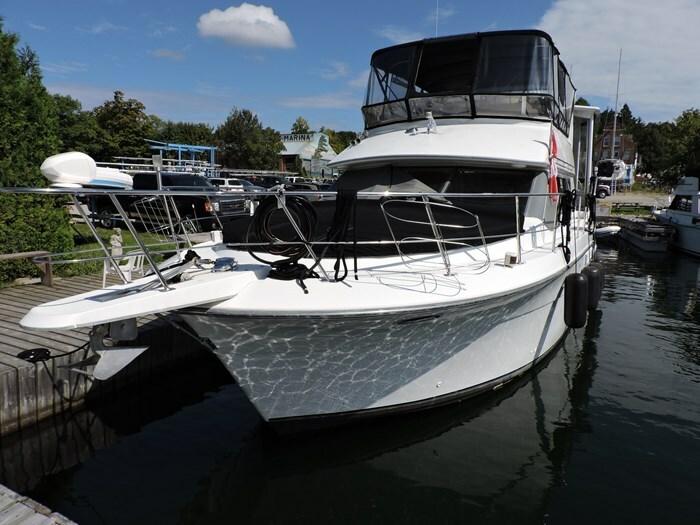 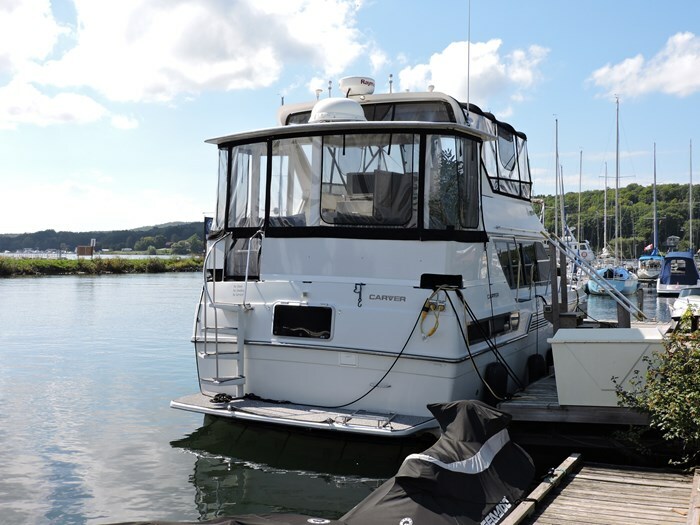 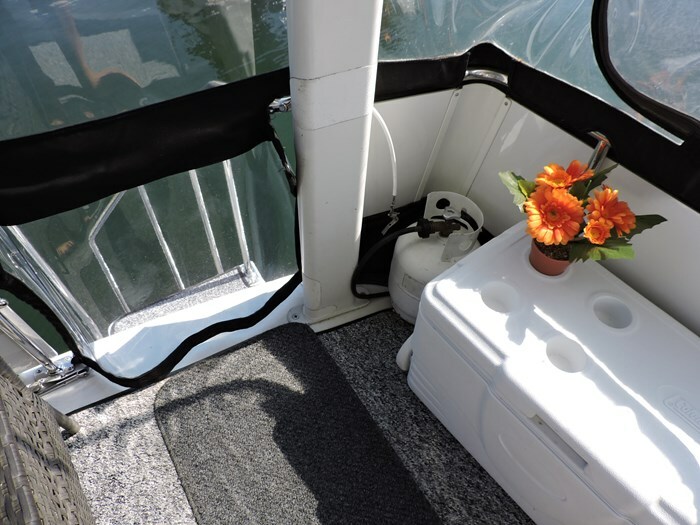 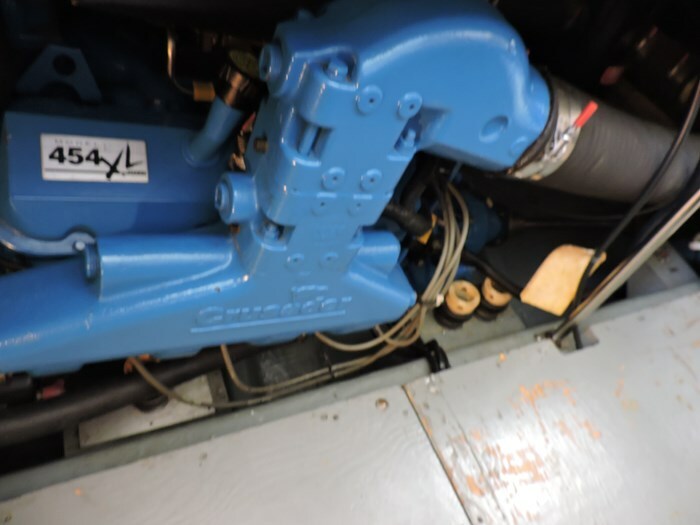 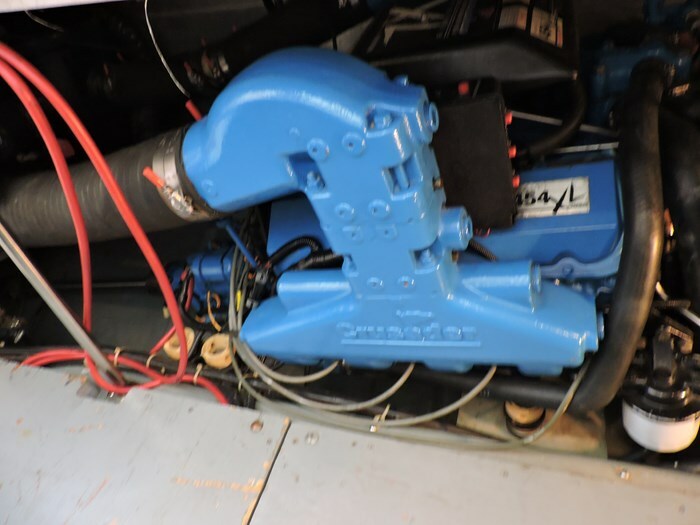 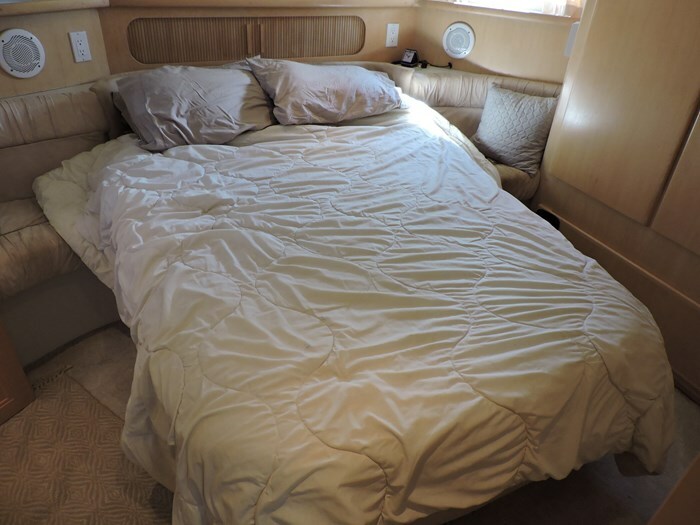 Systems-110V Hot Water, 12V Outlet, AM/FM Stereo with 6 Pack CD Changer, Anchor Windlass, 12V Batteries with Charger, Bilge Pumps and Blowers, Dock Side Water, Raw Water Washdown, Gas 6.5 KW Generator with 2600 Hours, Hour Meters, Hydraulic Trim Tabs, Master Stateroom TV, Pressure Water, Remote Spotlight, 3 Reverse Cycle Heat and Air Conditioning Units, Salon TV/DVD, Satellite TV Dome-has not been used in years so no guarantees, TV Antenna, Second Stateroom TV/DVD, Shorepower with Cords, Transom Shower. 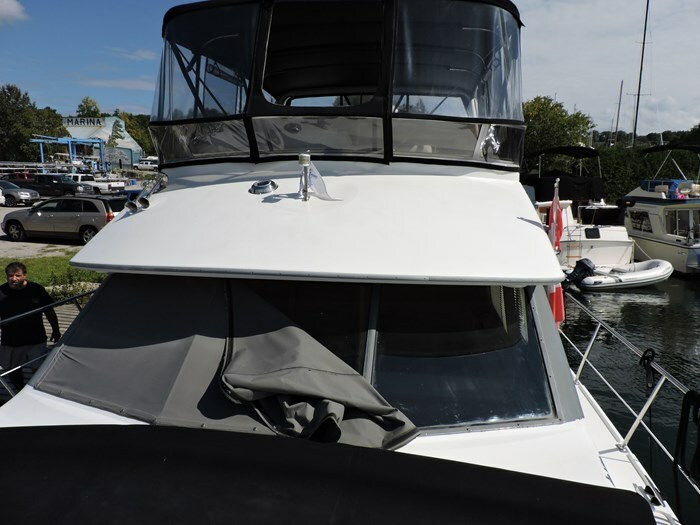 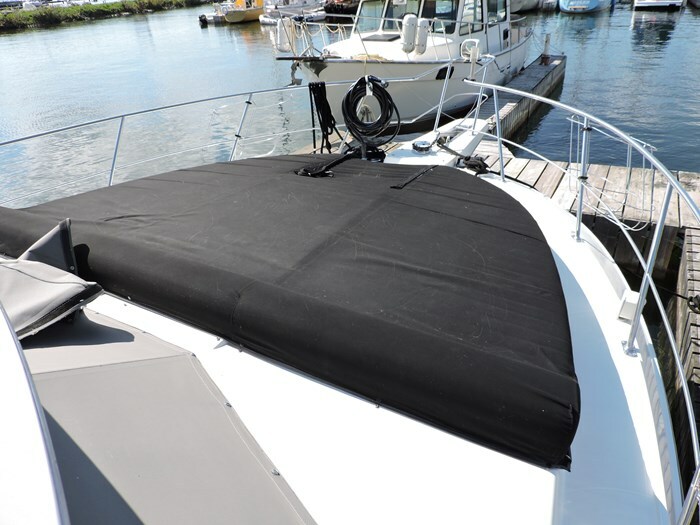 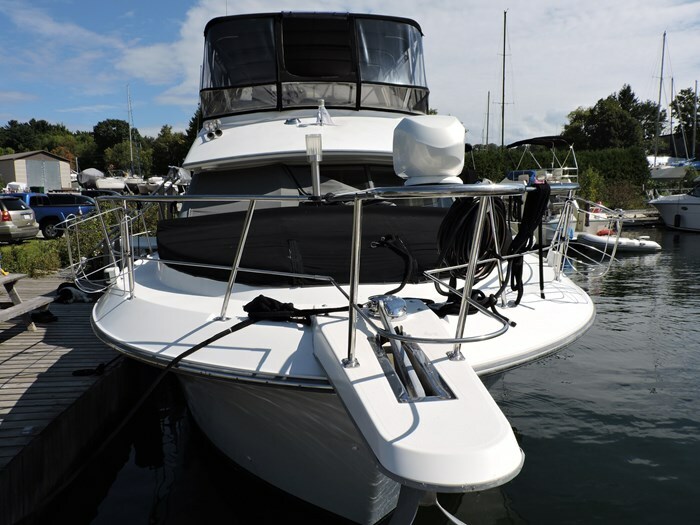 Exterior-Adjustable Helm Seat, Aft Deck Hardtop with Full Enclosure, Anchor Roller, BBQ, Bimini Top with Full Enclosure, Bottom Paint, Bow Rails, Courtesy Lights, Custom Foredeck Sunpad, Dinghy Davits, Extended Swim Platform, Exterior Icemaker, Exterior Removable Carpet, Exterior TV, Exterior Wetbar, Fender Racks, Radar Arch, Mesh and Canvas Windshield Covers, Swim Platform and Ladder, Transom Door, Weatherboards, Wing Doors. 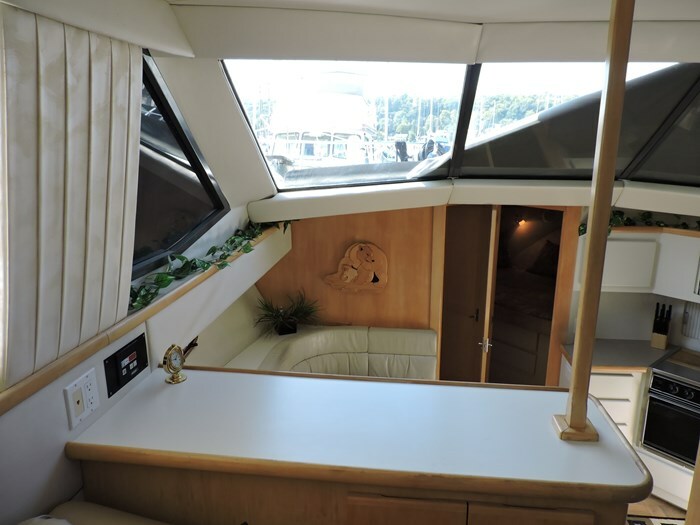 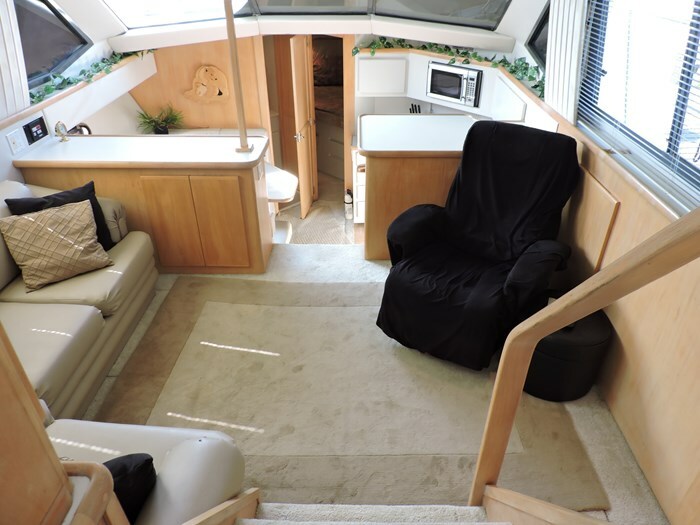 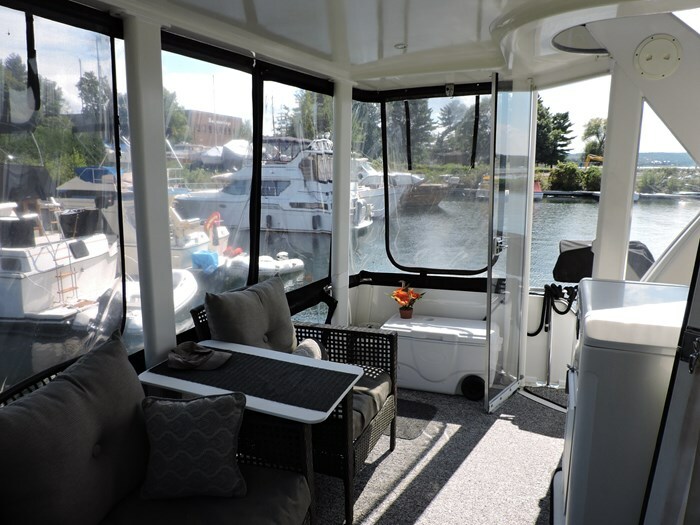 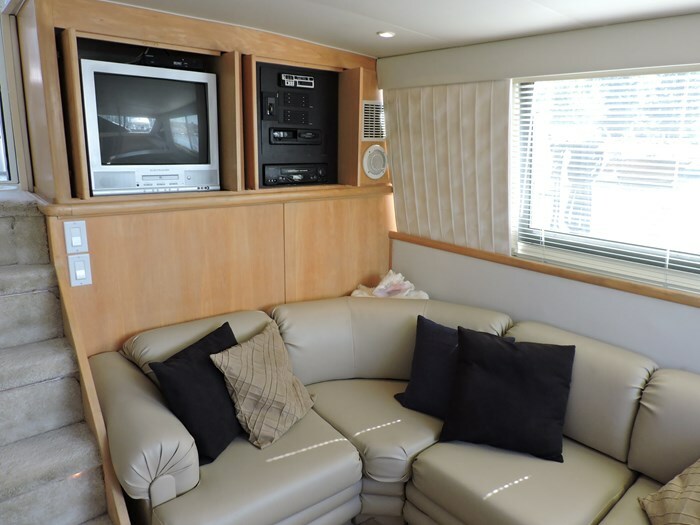 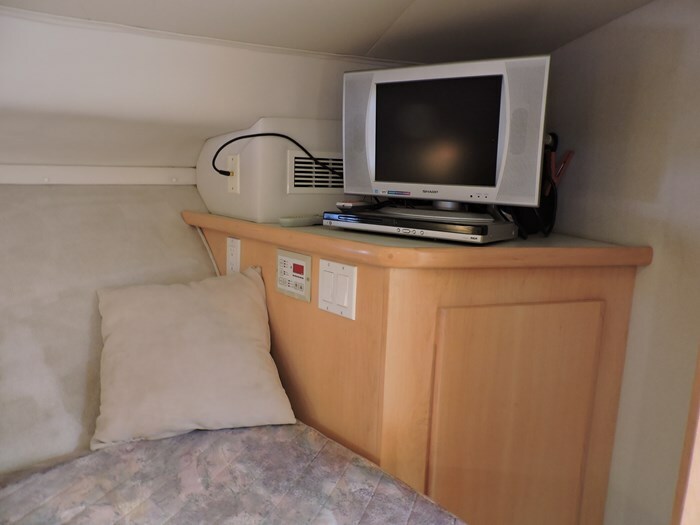 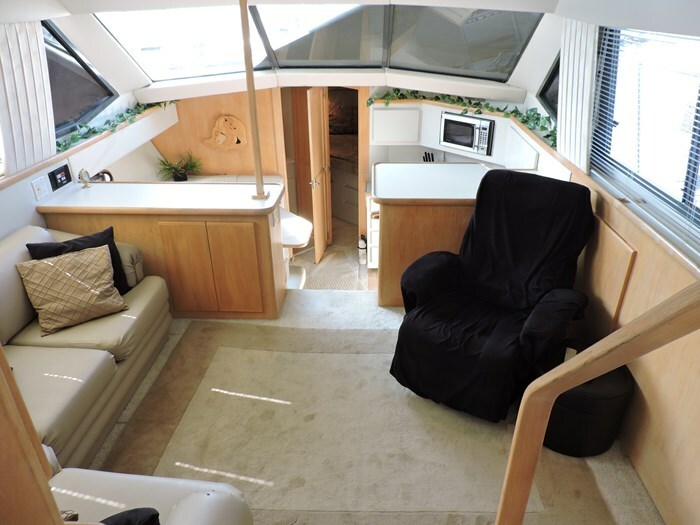 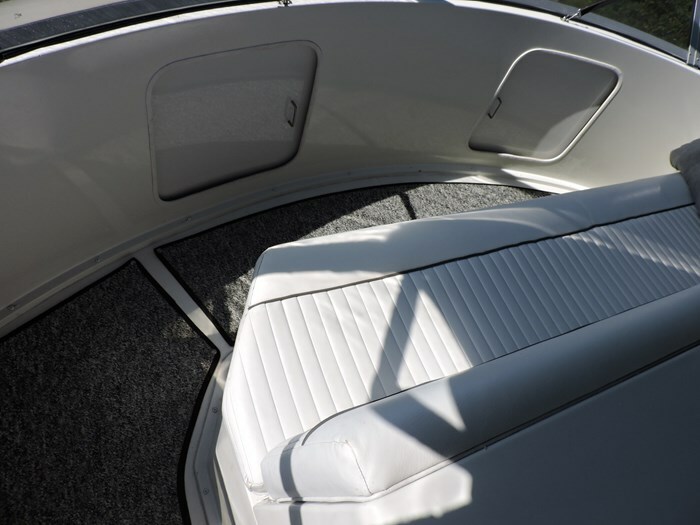 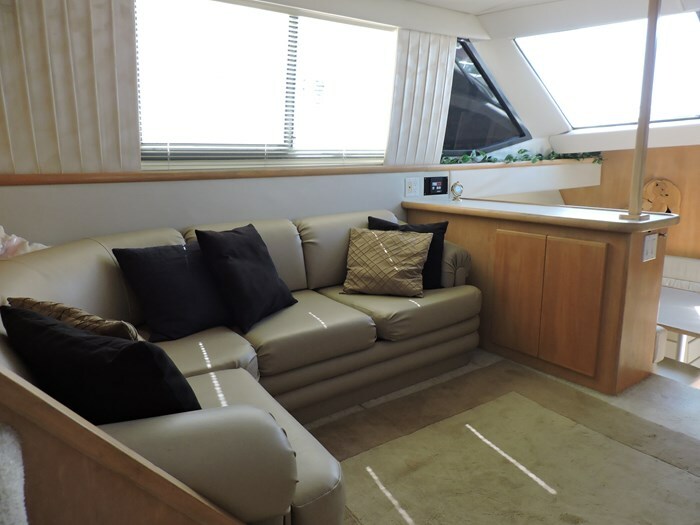 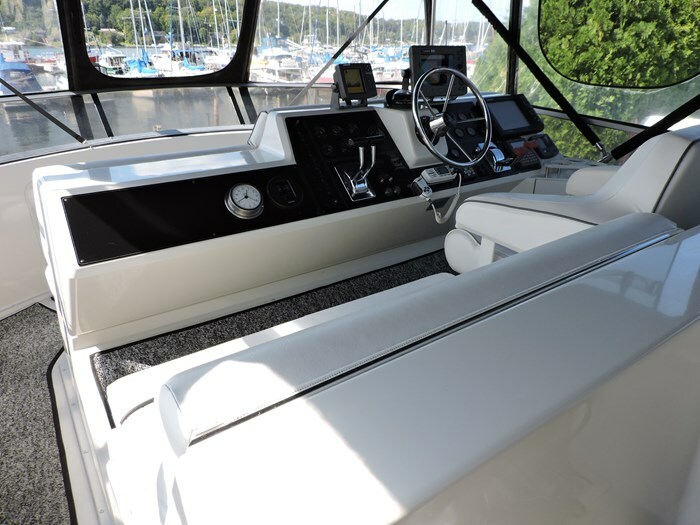 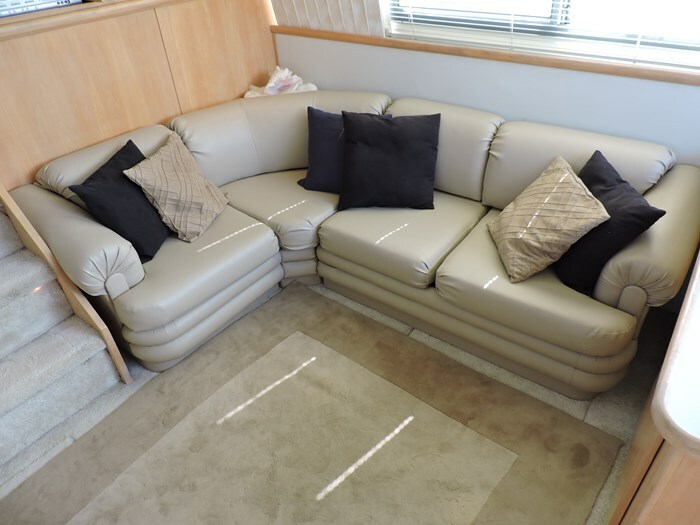 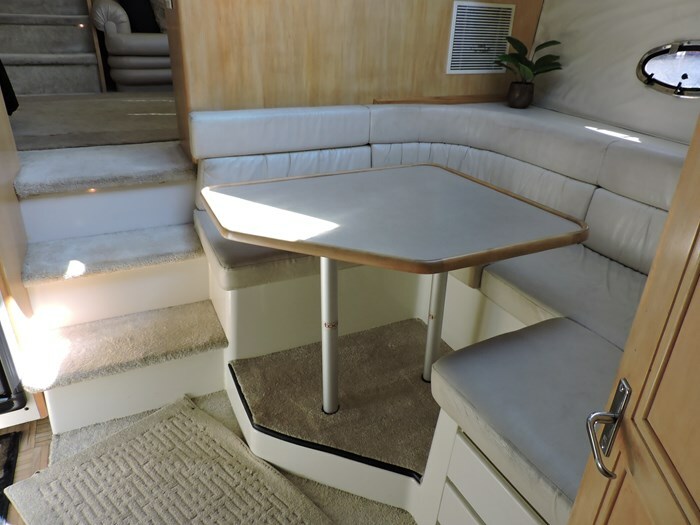 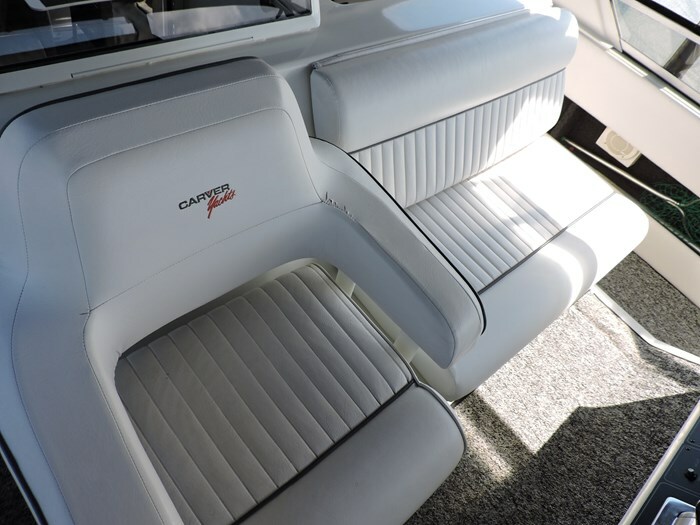 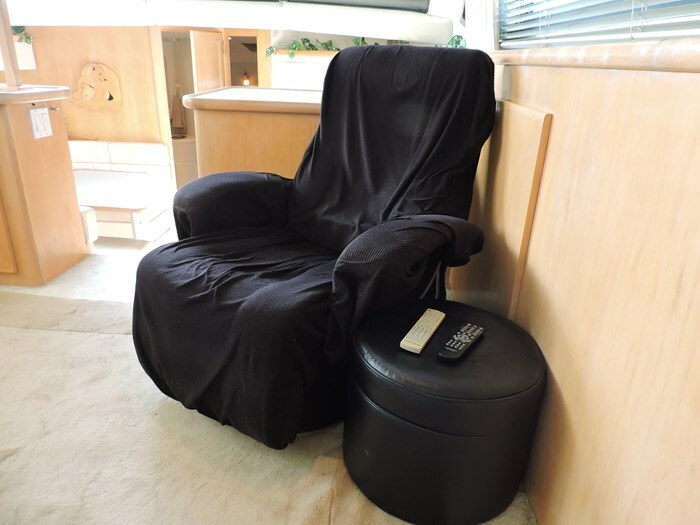 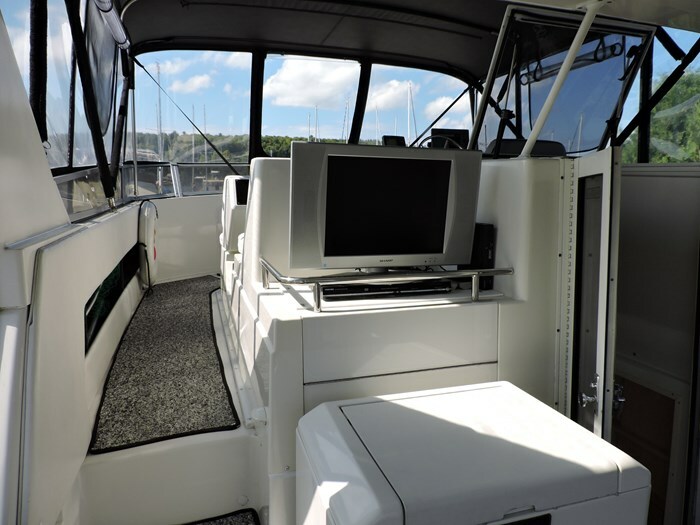 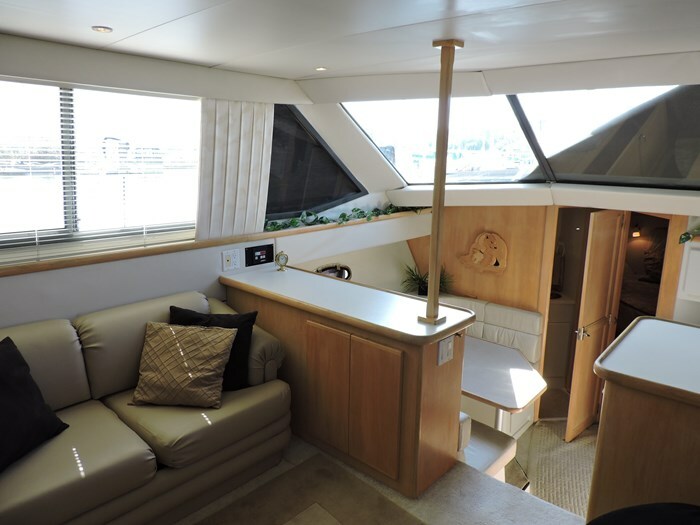 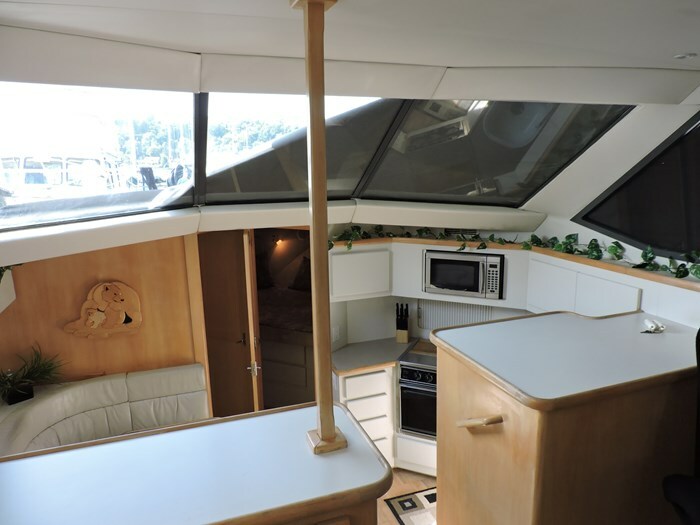 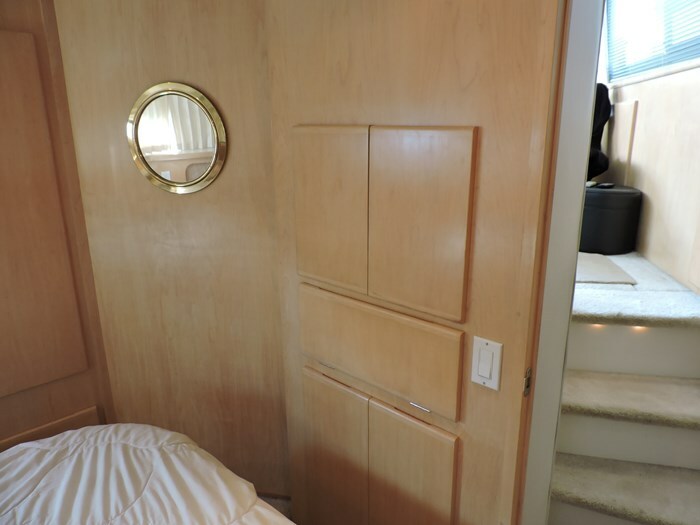 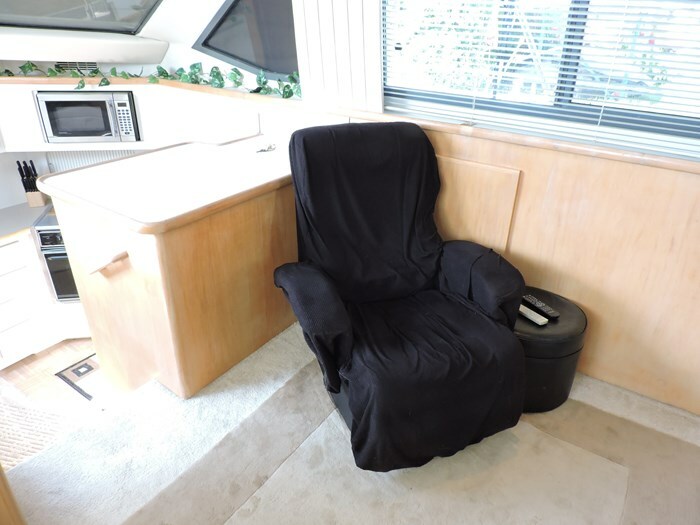 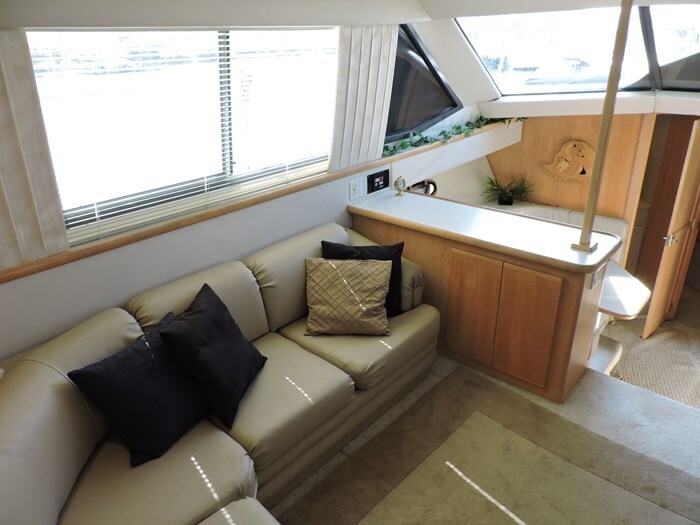 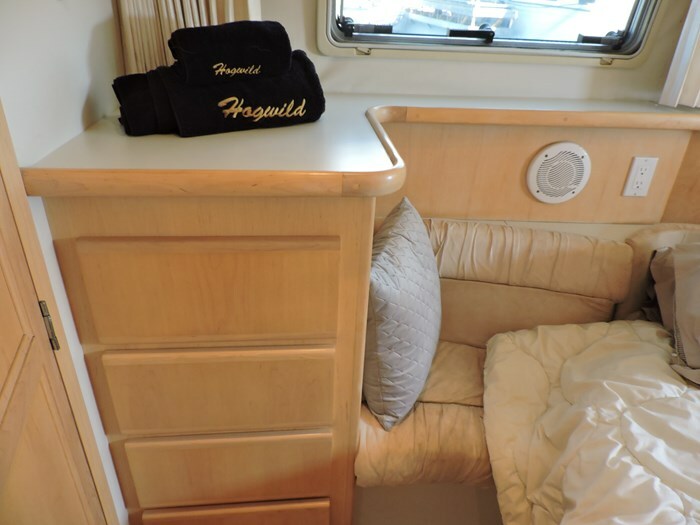 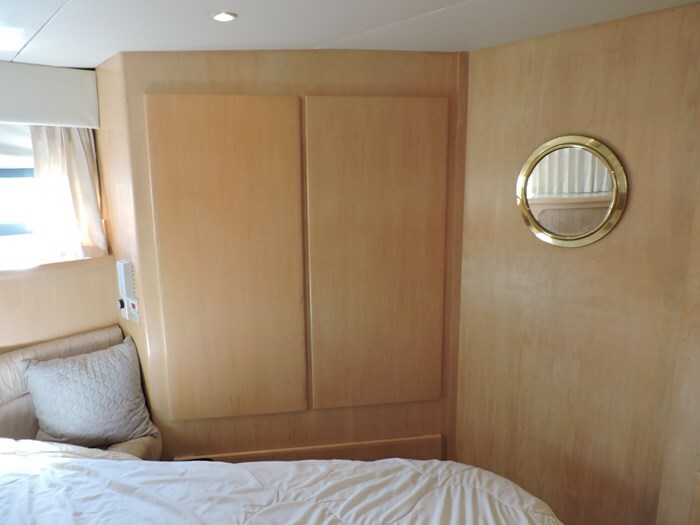 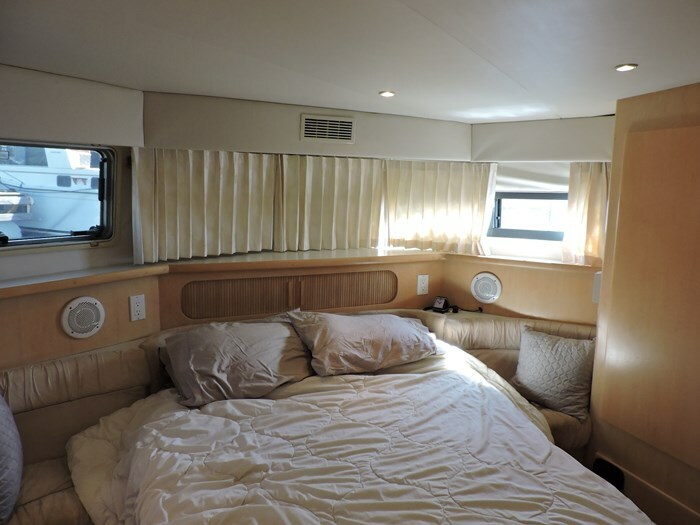 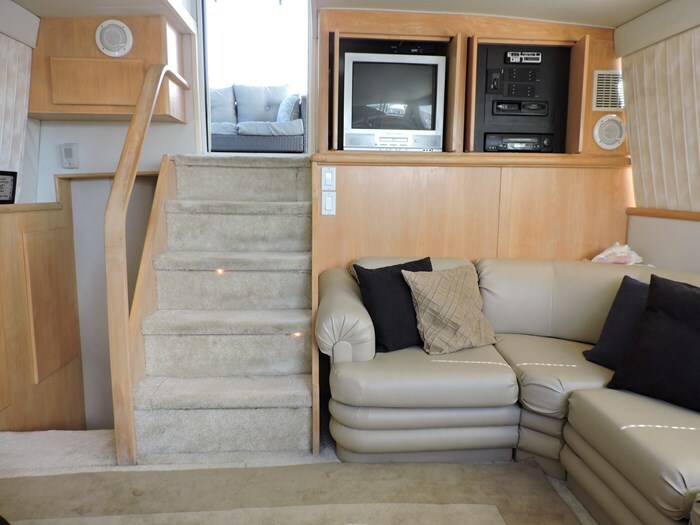 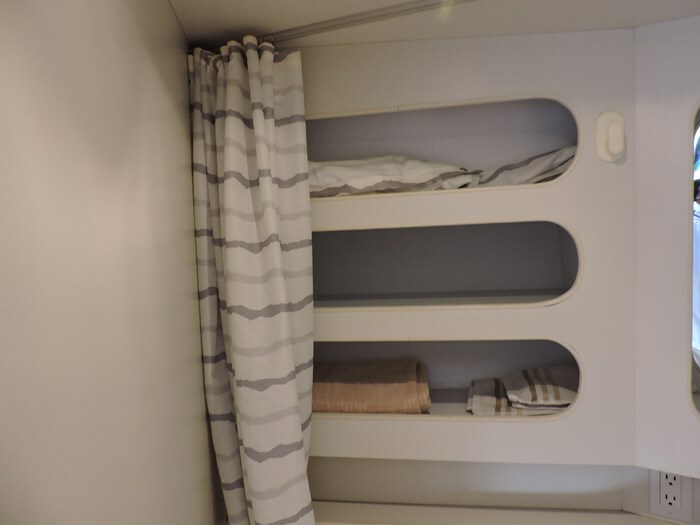 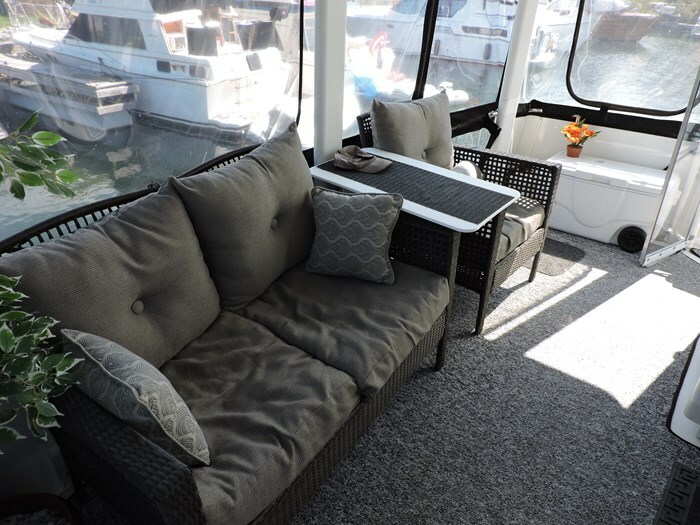 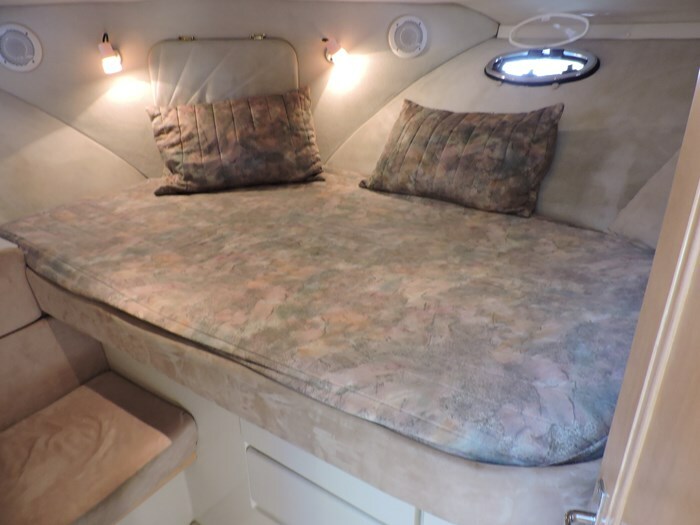 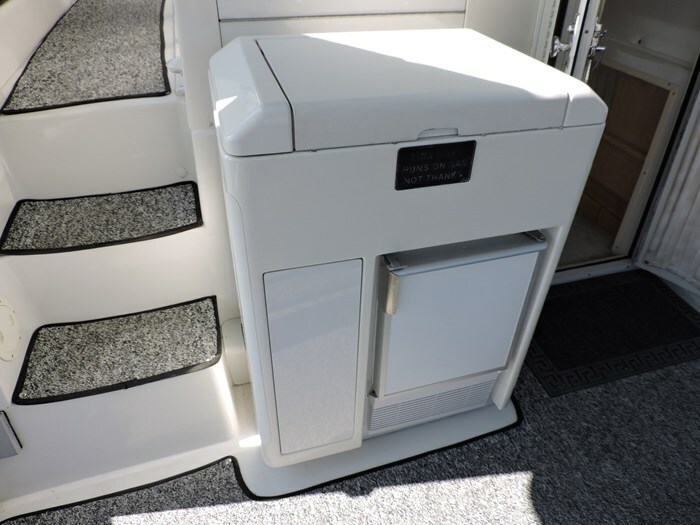 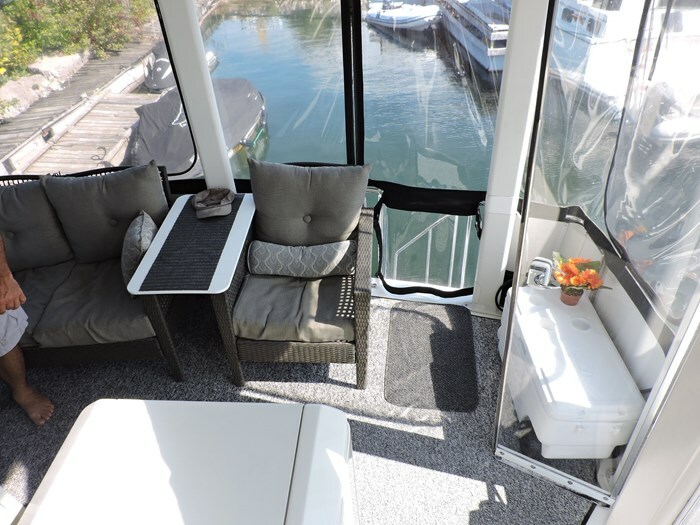 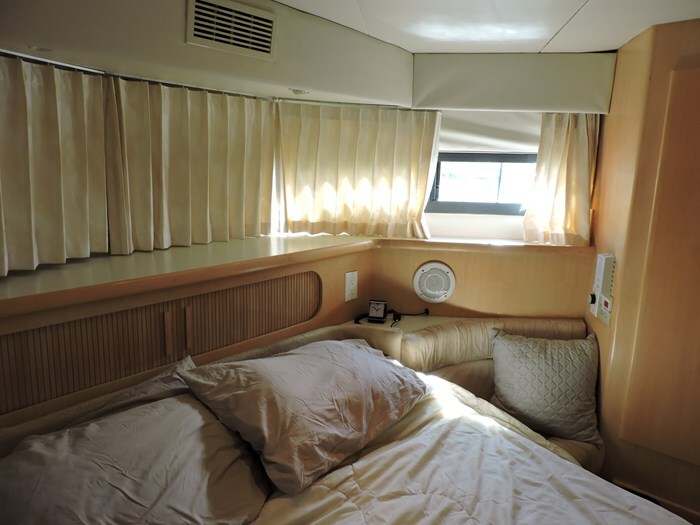 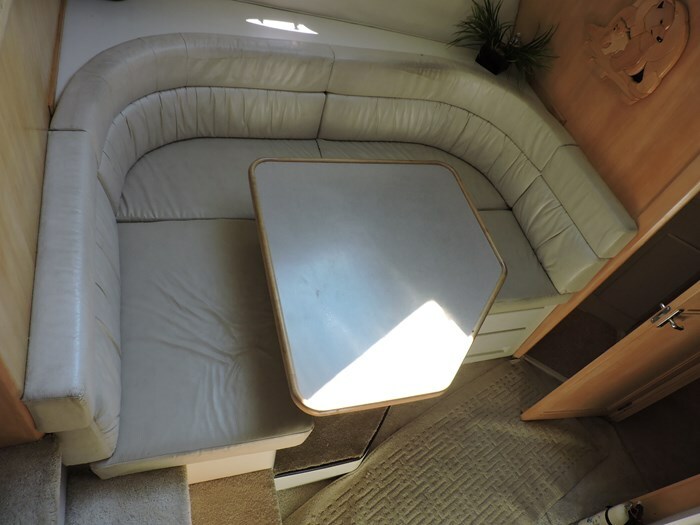 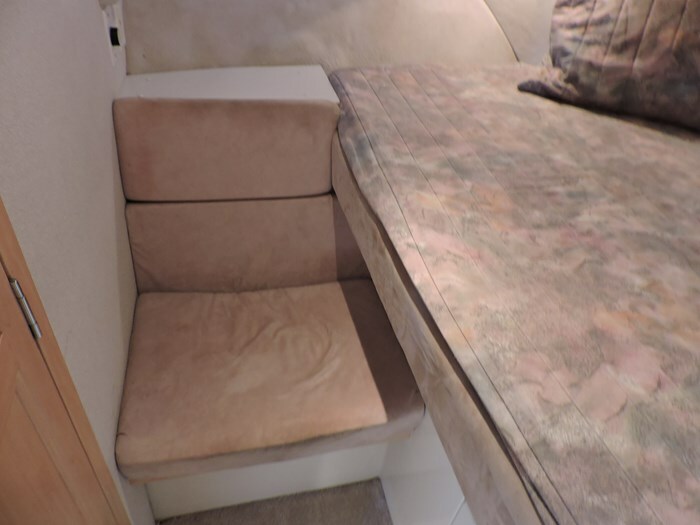 Interior-Cabin Carpet, Cabin Lighting, Deck Hatch, Hanging Locker, Mini Blinds, Port Holes, Salon Chair, Salon Sofa Bed. 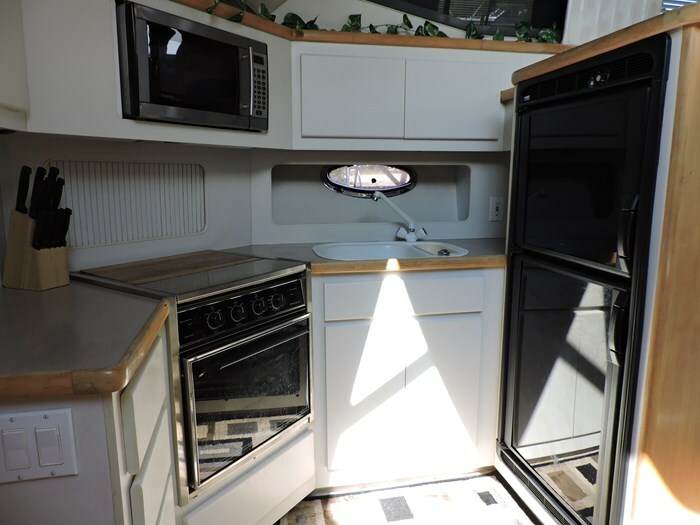 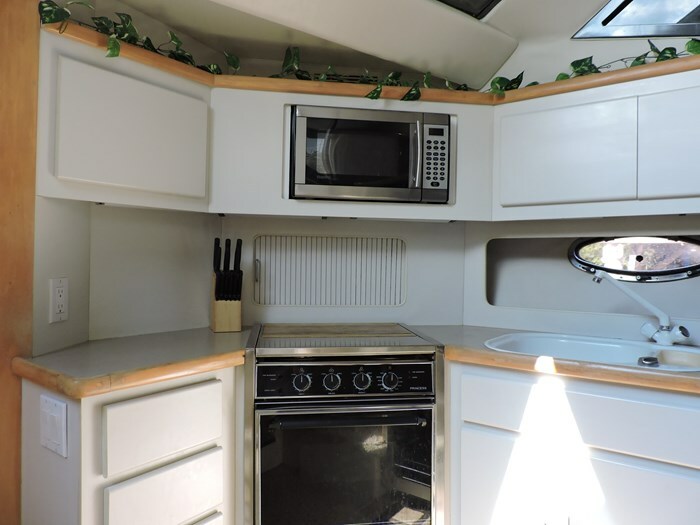 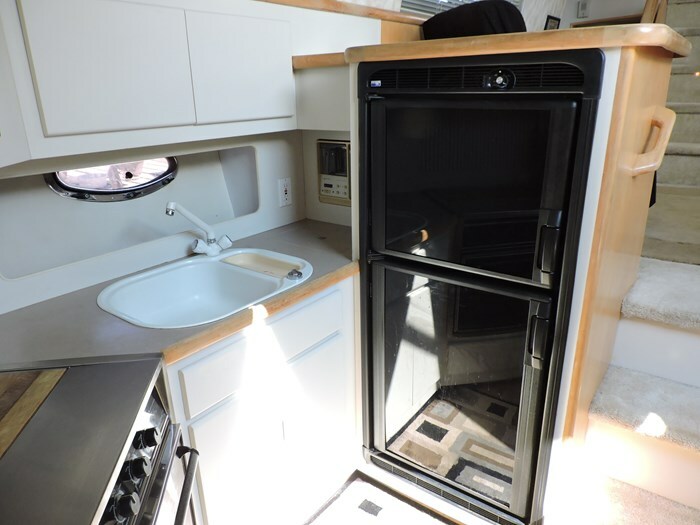 Galley-Coffee Maker, Dinette, Fridge/Freezer, Microwave, Oven, Stove Top, Sink. 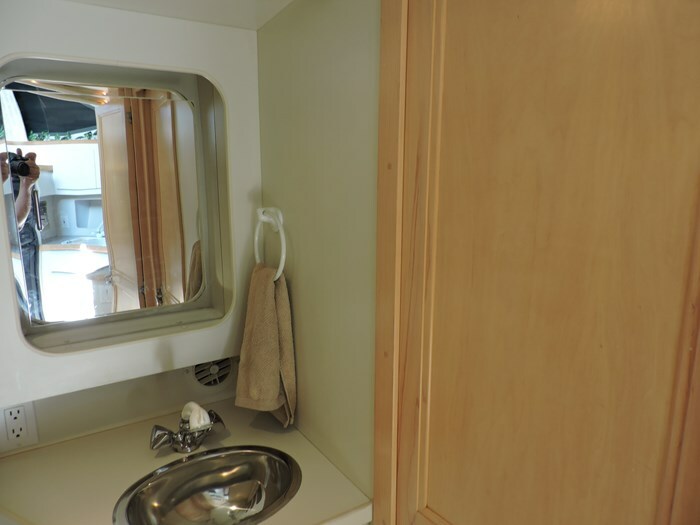 Master Head-Vacuflush Toilet, Stall Shower, Sink, Vanity, Mirror, Exhaust Fan. 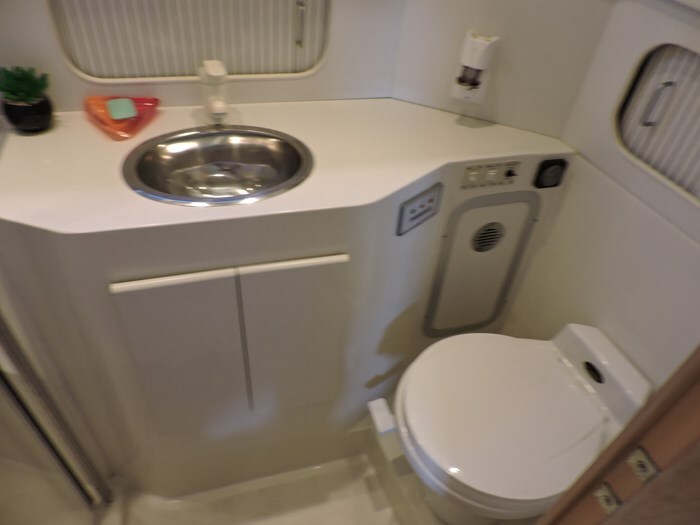 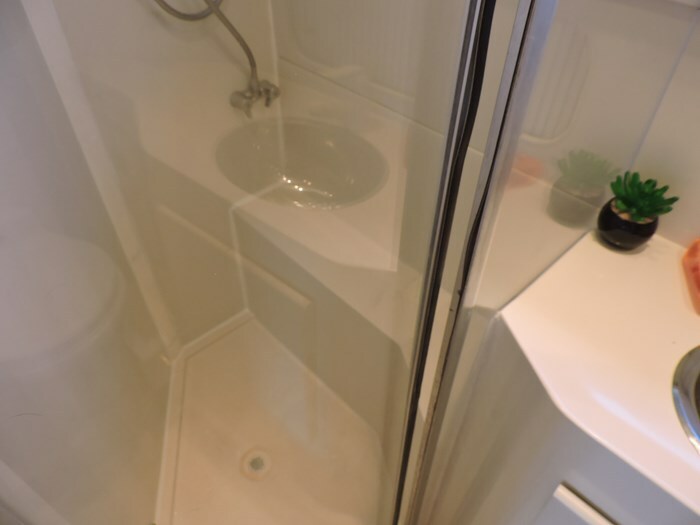 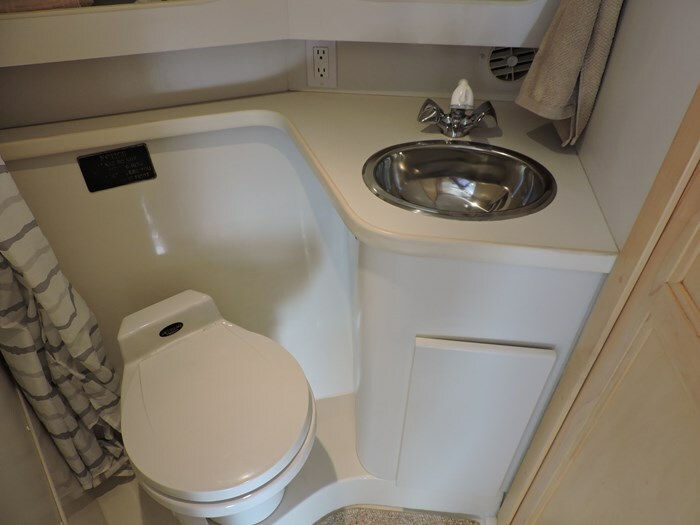 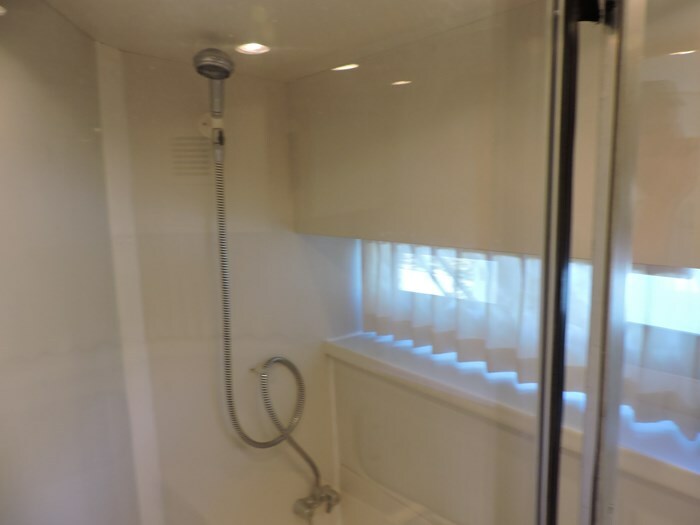 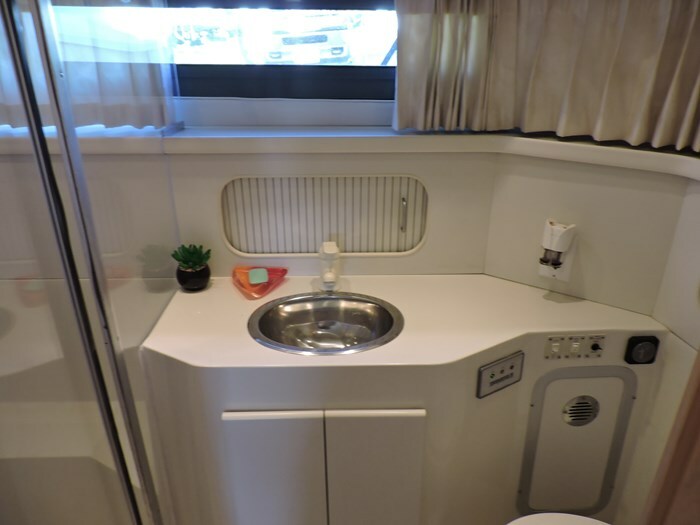 Guest Head-Vacuflush Toilet, Wet Shower, Sink, Vanity, Mirror Exhaust Fan. 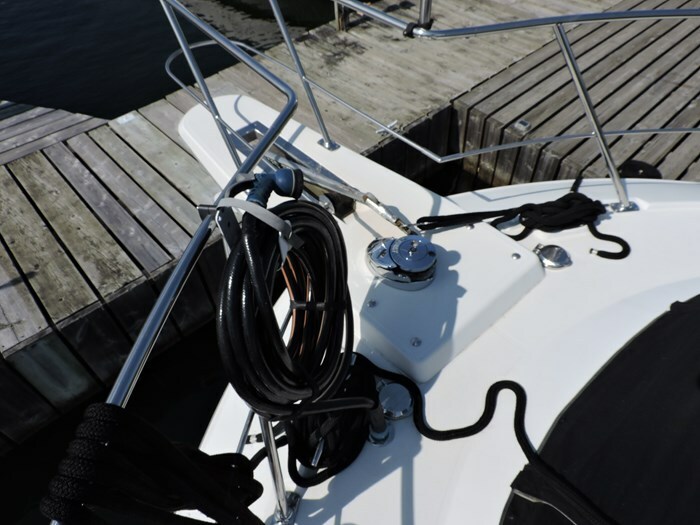 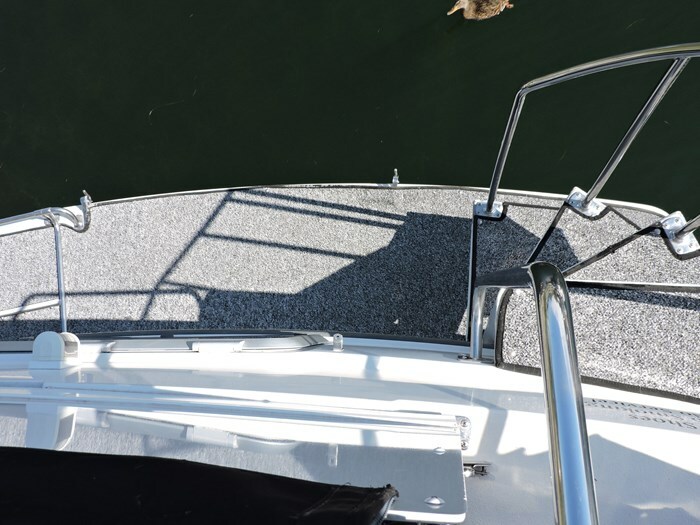 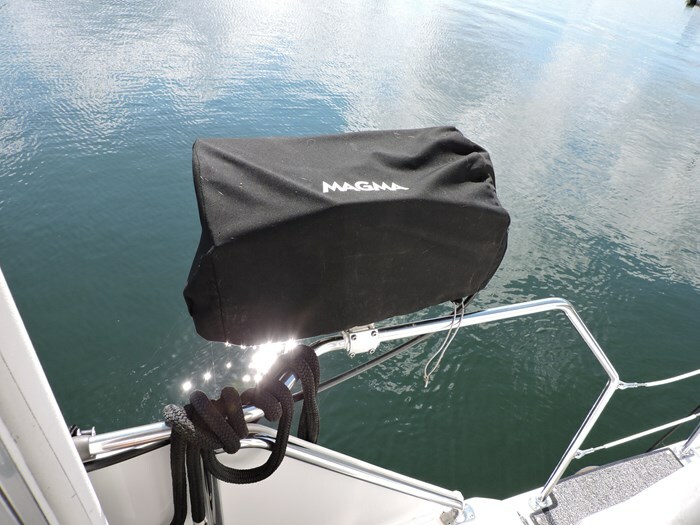 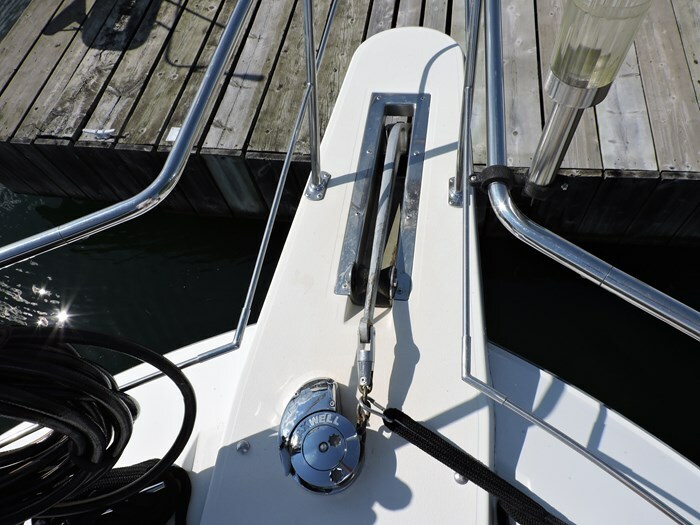 Safety-Anchor, Windlass, CO Detector, Dock Lines, Fenders and Adjusters, Fire Extinguishers.